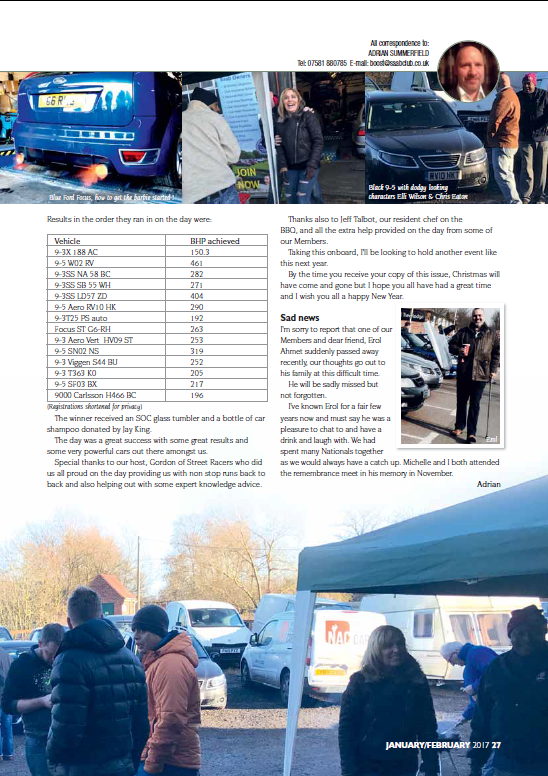 SAAB Owners Club (GB) Ltd - Boost! 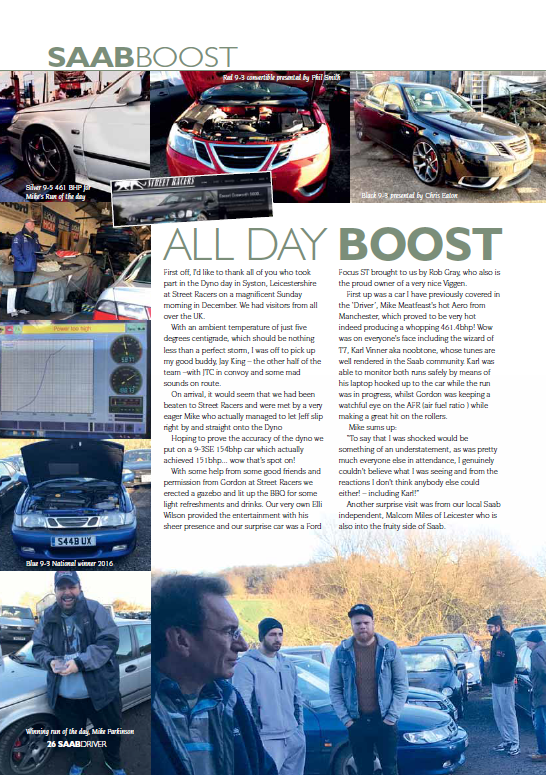 Boost is a section in the Driver magazine which first appeared in the December/January 2014 issue of Driver. It will cover all aspects of Saab Tuning something Saabs are very capable of. Here is an example of what Boost! gets up to taken from a copy of the Driver Magazine. If you have any tuning related stories or questions please contact the Boost Registrar Adrian Summerfield.